bzimport set Reference to bz66366. Ask me any details, though I guess you can reproduce it easily. Overly frequent breakage has been persistent issue which has hampered the upload process for nearly two years now. It's frustrating enough for seasoned users, and I can only imagine the grievances it causes for newbies (*especially* those on slower internet connections and/or those with bandwidth/data caps). This could possibly be related to bug 36587, which, AFAIK still results in failures when upload speed is throttled to < 1mpbs second. Anything seems to be allowed as a title. Attached is a screenshot taken in my universe. @nicolas, what kind of browser and version of the browser do you have ? As seen on screenshot above, no character trigger any warning. If the above is correct a solution would be to retry once and/or pass a more meaningful error message? 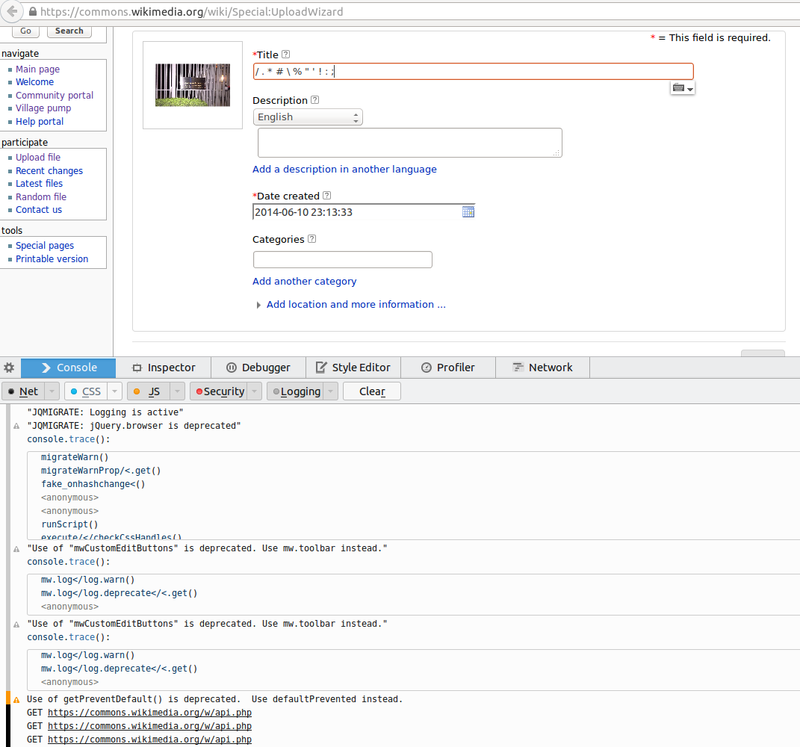 Title is an invalid file title (for uploading) -- can someone please +2 I260ba883548975263bb ? 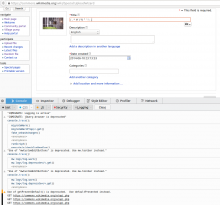 Note that I1ed825b05ea80b41 won't solve the issue that invalid file titles (for uploading) containing slashes are not detected. ... are not detected before finally submitting. In particular if there is a kind of "beta server" where I can test the latest development version. @Marco: Yes, reproduced just now, see screenshot above. 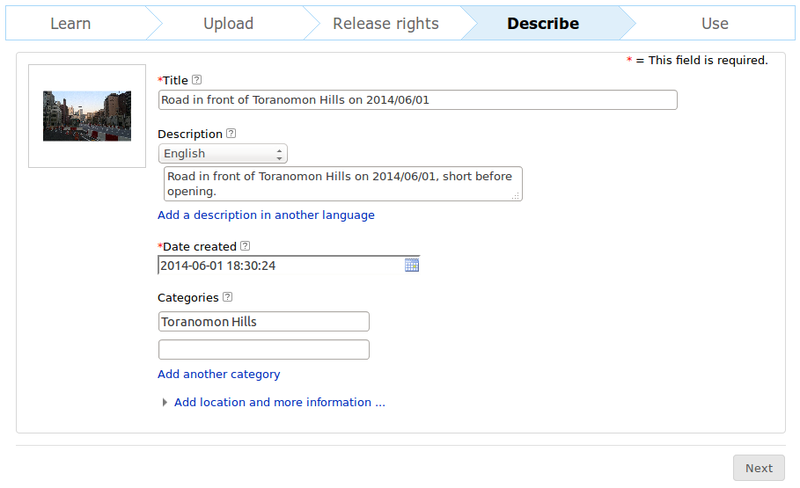 Are you using UploadWizard at Wikimedia Commons for reproducing? If not, how does your setup look like. I.e. are you using the titleblacklist? Does the file system, the file comes from support slashes in file names: Did you change the destination title after uploading or is it the file name? If you changed the file name after uploading, what was the original name of the file? 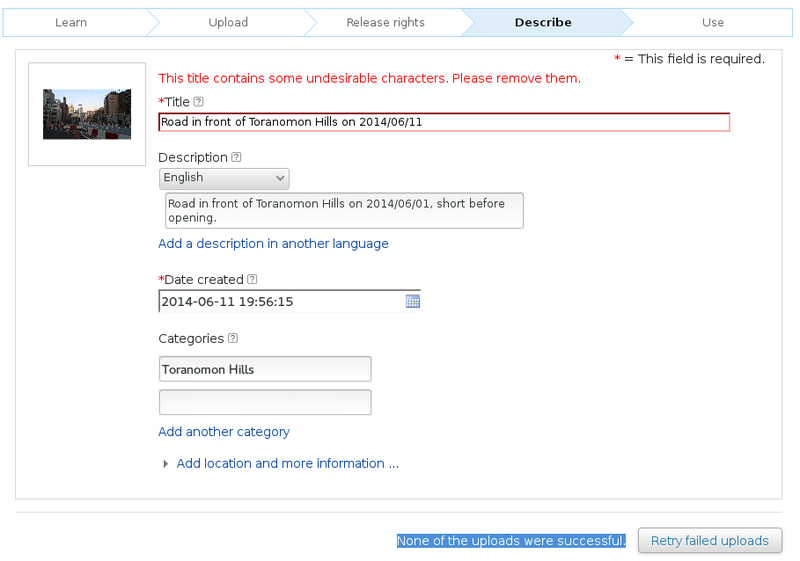 Filesystem name is amarok-unity-tray-icon.png but I inserted a slash in the "Title" field of the "Describe" step. 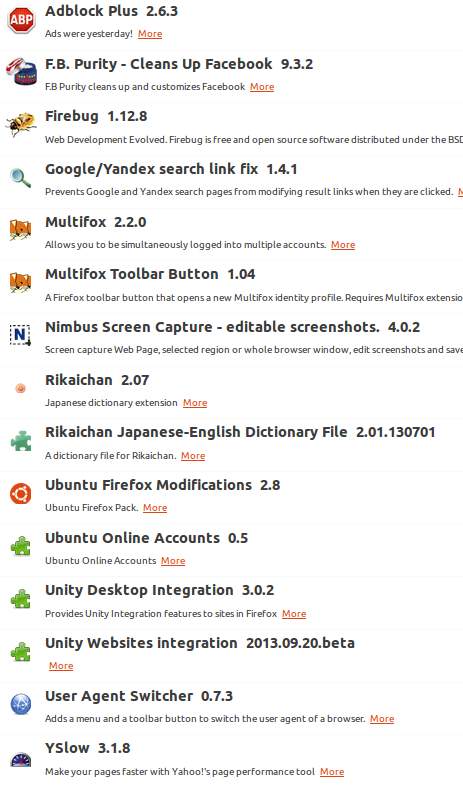 I am using the Firefox addons listed in the screenshot below. and the issue mentioned there is bug 70617. Oh, indeed. Patch merged, *closing this*.